As dealerships search for ways to be more environmentally friendly and energy efficient, the companies that serve them are searching for innovative solutions, such as going paperless. One of these companies, Digital imaging solutions firm Canon U.S.A. Inc. revealed Tuesday the launch of Canon Solutions America Inc. — a wholly owned subsidiary of Canon U.S. The new company integrates the business operations of Canon Business Solutions Inc., Océ North America Inc., and Océ Imagistics Inc., an acquisition that was announced in 2010, the company shared. “Canon Solutions America will continue to provide sales and support for Canon’s Intelligent Dealer Electronic Archiving System (IDEAS) throughout the automotive dealer markets in the United States,” officials continued. The company shared that for existing IDEAS customers; there will be no changes or interruptions in service or support. Commenting further on the news, Mark Sinanian, senior director of integrated solutions, said, “2012 was an exciting year for us, with Canon’s IDEAS continuing to grow in popularity among dealers who have a 21st century mindset. “Bringing today’s technology advances in paper-free document management and business process management means more productivity, efficiency and ultimately, more profit. Last year also saw the integration of MOC1 Solutions Fixed Ops SDS drive lane mobile technology with IDEAS, expanding it to be a truly end-to-end and paper-free dealer business solution,” he continued. For more information about Canon’s IDEAS offering, visit www.paperlessIDEAS.net. 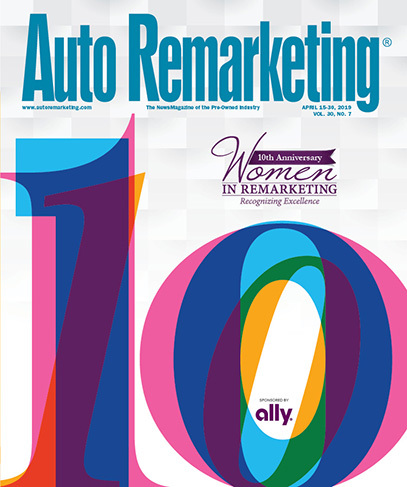 Continue the conversation with Auto Remarketing on both LinkedIn and Twitter.